Quarterly dividend declared by OGE Energy Corp. 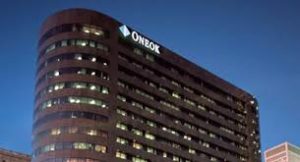 The Board of Directors at Tulsa-based ONEOK Inc. has a new member. Mark W. Helderman with Connecticut-based Sasco Capital Inc., a mutual fund advisor was elected to the board on Tuesday. Helderman is a Managing Director and Portfolio Manager at Sasco Capital Inc. He joined the firm in 1997. Mr. Helderman is also a Portfolio Manager at the Phoenix Mid-Cap Value Fund. A filing with the Securities and Exchange Commission showed he was awarded 274 ONEOK shares as his annual cash retainer. Each share was valued at the time at $68.2312. Helderman also acquired another 494 shares also valued at more than $68.00 each. “The 494 shares reported represent the reporting person’s annual stock retainer shares issued under the Issuer’s Equity Incentive Plan and prorated for the period of February 2019 through April 2019,” according to the SEC filing.